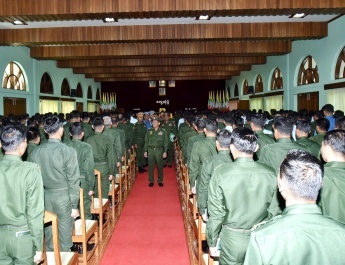 Commander-in-Chief of Defence Services Senior General Min Aung Hlaing, accompanied by Commander-in-Chief (Navy) Admiral Tin Aung San, Commander-in-Chief (Air) General Khin Aung Myint, senior military officers from the Office of the Commander-in-Chief (Army), the commander of Yangon Command and officials, visited the head office of Telecom International Myanmar Co., Ltd (MyTel) in Yangon’s Dagon Township this afternoon. 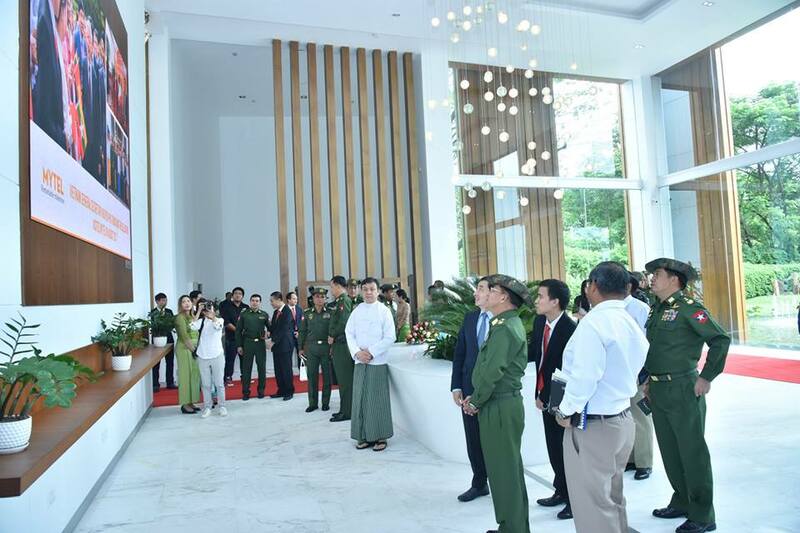 Senior General Min Aung Hlaing and party were welcomed there by the company CEO and staff. 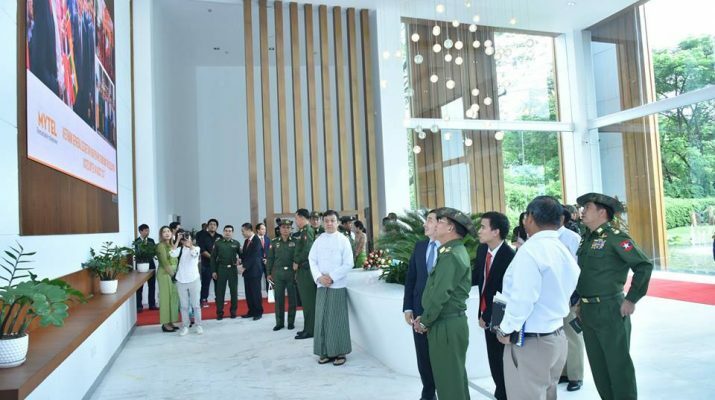 At the meeting room, the Senior General extended greetings to Viettel Group Chairman Maj. Gen. Nguyen Manh Hung from Vittel Group’s headquarters in Hanoi, Vietnam, through video conferencing. 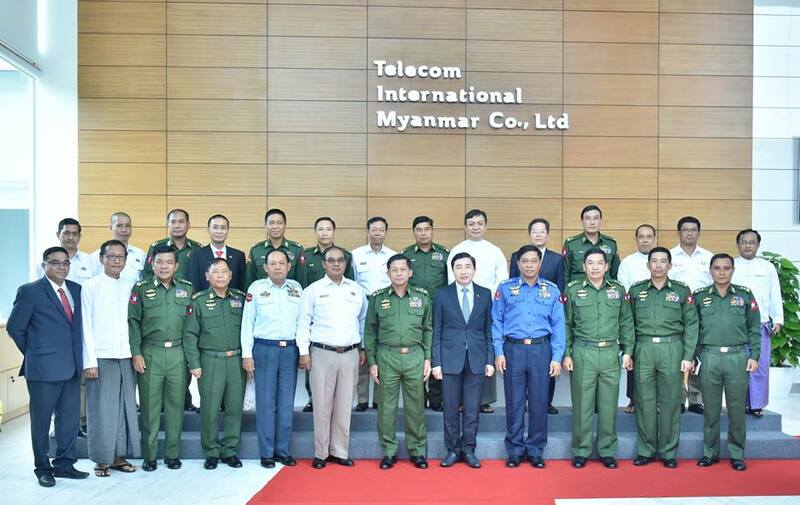 Afterwards, the Senior General heard the report presented by the CEO of MyTel on the progress of the company’s current undertakings. 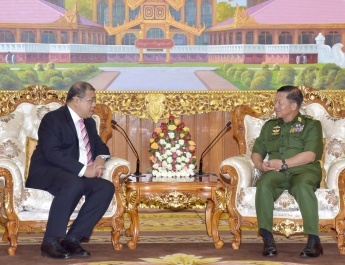 According to his suggestions, the Senior General said that telecommunications is vital for the country. Transportation, telecommunications and electricity are essential for the development of the country. It is needed to do any business with goodwill, not for profit only. In operating MyTel telecom business, the company should try to support the country with its services rather than its business goals. Prices should be cheap for same quality products. If the prices are the same in the market, the company should produce a better quality product. The aims of the company to extend its services to rural areas are very good. The company needs to conduct systematic research in order to meet its goals. After that, the Senior General signed the visitors’ book. 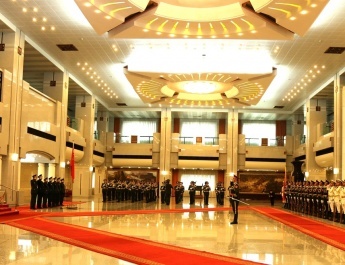 Next, CEO Mr. Nguyen Thanh Nam presented a gift to the Senior General after saying words of thanks. 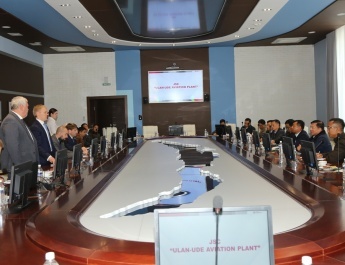 Later, the Senior General and party looked round in the office and posed for a documentary photo together with officials from the head office of MyTel.